Cheng Po Tsai was just the son of a local fisherman when he was kidnapped by the notorious pirate couple Cheng I and Ching Shih, and adopted into a life of crime. According to legend, when Cheng I died, Cheng Po took up with his adoptive mother and married her, carrying on the family business of pillage and plunder. At his height of infamy he is said to have commanded a fearsome pirate fleet of 600 ships and a veritable pirate army of 20,000 men. Then, in 1810 his career took an unexpected turn when he surrendered to the government and accepted a post as navy colonel and an assignment far from his home waters off Hong Kong, patrolling instead the coast of Taiwan. Cheng Po is said to have squirreled his pirate treasure on Cheng Chau island 6 miles off the coast of Hong Kong. Visitors can follow in his footsteps and climb down into a small cave near the coast and look for themselves, but no treasure has ever been found. 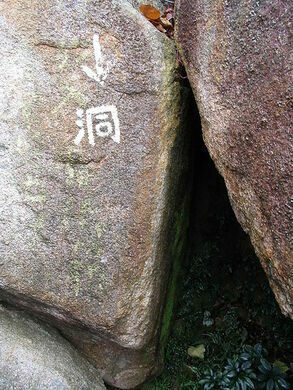 The cave is on the southwestern peninsula of the island, and is well marked.